Diego Parrilla has two decades of investment and senior leadership experience at global leading institutions in London, New York, Singapore, and Madrid, including JP Morgan, Goldman Sachs, Merrill Lynch, BlueCrest Capital and Dymon Asia, and is currently a Partner at Quadriga Asset Managers in Madrid. 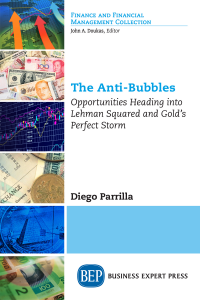 Diego is the co-author of best-selling book, The Energy World Is Flat: Opportunities from The End of Peak Oil (Wiley) with Daniel Lacalle, and a selective contributor to the Financial Times Insight Column, El Mundo, CNN, CNBC, Real Vision TV, or Bloomberg TV, amongst others. Diego holds an MSc mineral economics from the Colorado School of Mines, an MSc petroleum economics and management from the French Institute of Petroleum in Paris, and an MS and BS in mining and petroleum engineering at the Madrid School of Mines at the Polytechnic University of Madrid.